Diamondback 510Ef Elliptical is the latest product design innovation from Diamondback Fitness. 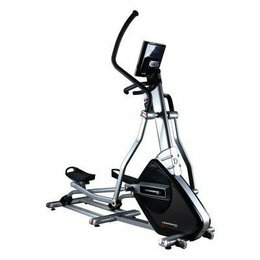 Diamondback 510Ef Elliptical comes at a low competitive price with features like smooth, quiet sealed cartridge bearings rarely found on other ellipticals, 510 Series Console , target heart rate programs and quickSet program keys . This elliptical is ultra smooth, ultra quiets, feature rich and built to last. An attractive LCD with comfortable lighting makes it easy to keep real-time track of progress through 20 pre-set workouts and 16 levels of resistance. Product Weight : 191 lbs. Personal cooling fans- Diamondback Fitness’ personal coolling fans let you vary the fan speed during your workout to keep you cool and comfortable. Sealed cartridge bearings- Sealed cartridge bearings give the 510Ef an ultra smooth feel and keeps it whisper quiet during use. Foldout magazine rack- Foldout magazine rack holds your favorite magazine during your workout and folds away when not in use.